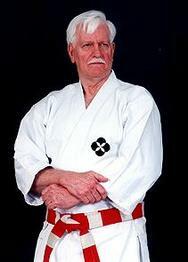 Mr. Chivichyan has over 40 years experience in the Martial Arts. The youngest of three brothers, Gokor Chivichyan was born May 10th 1963. Gokor was a very aggressive child, beating up all the older kids on the street he lived on. After seeing the boy fighting in the streets of Yerevan, a student at the Dinamo Studio invited the five-year-old Gokor to train at his school. Right from Gokor's first day at the school, the head-wrestling instructor knew he had great athlete in the making. After only one year of wrestling, Gokor began his training in Sambo. He trained a minimum of 4 - 5 hours a day with larger and more advanced students, often besting them in class. In 1971 Gokor competed in his first tournament and won his first Armenian Junior National Sambo Championship. He won all of his matches quickly and with ease. At the age of nine, Gokor fought in his second Junior National Sambo Championship, taking first place in the 10 - 12 year old division. He won the Gold Medal and qualified to go to Russia to fight in the '72 Soviet Junior National Sambo Championships. 1973 was a big year for Gokor, beginning his training in Judo; he would go onto win Armenian Junior National Championship and then compete at the Russian Junior National Judo Championships. It was in Russia at these games that Gokor would experience his first loss. Making it to the finals, Gokor would go home with a Silver Medal after losing by referee's decision to the three times Soviet National Champion. This loss haunted Gokor and drove him to train even harder, promising himself that he would never lose another competition in his life. 1974 brought Gokor back to Russia to fight in the Soviet Junior Judo and Sambo National Championships. Fulfilling his promise to himself, Gokor took Gold Medals in both competitions. From 1974 through 1979 Gokor continued to compete and win competitions in both Judo and Sambo not only in the Soviet Union, but Europe and at the world games. In 1980 Gokor qualified for the Soviet Olympic Judo team, but was passed over for an older more experienced athlete, who went to win the gold. Gokor although greatly disappointed by not being able to compete in the Olympics. One year later Gokor and his family would find themselves moving to America. (Los Angeles). Gokor didn't give up on his dream of competing for Olympic gold. He was rewarded for his perseverance by meeting and training with the Legendary "Judo" Gene LeBell. Gene began teaching Gokor techniques he had never encountered before, and quickly Gokor added these techniques to his training. These were tough times for the seventeen-year-old Gokor who was training, learning English, working and trying to learn as much as he could about American Culture. Starting in 1982 Gokor began competing in Judo Tournaments again, and Professional No-Holds-Barred fights. Some fights were for money others just for the experience and excitement. His professional fighting and hunger for competition took Gokor to many new places like France, Japan, Thailand, Mexico, Canada, Germany, and England to name but a few. While competing in numerous no holds barred fights Gokor started training in Boxing and Muay Thai to improve his already formidable standing fighting skills. Gokor's dream was to train hard and become a U.S. citizen so he could compete in 1984 Olympics for the U.S. Judo team, but was unable to become a citizen soon enough. Traveling back and forth between America and Russia, Gokor qualified for the Soviet team but again, did not get to compete in the Olympics because of the Soviet boycott. In 1987 Gokor competed for the Judo International World Cup in Spain. After 8 wins, Gokor made it to the finals against a strong competitor from France. Three minutes into the match, Gokor won by full point (ippon). Gokor met some very strong fighters from Brazil that trained in Jiu-Jitsu. They were so impressed by Gokor's skills they invited him to train with them. To this day they are still good friends exchanging techniques and visiting each other's schools. 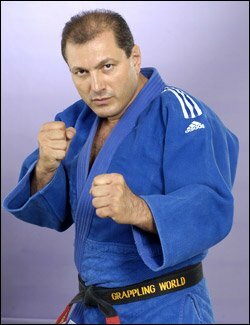 The United States Judo Federation helped Gokor acquire his US Citizenship in November 1987 to qualify for the US Olympic Team in 1988. Unfortunately, as a late citizen, Gokor did not have enough time to acquire the necessary points to compete in the Olympics. By 1989 Gokor had won 4 Professional World NHB Championship Titles and was ready for a completely new challenge, Marriage! Proving to be a worthy challenge, Gokor chose to retire undefeated as a professional fighter and instead dedicated himself to his wife Narine and raising his first child, Arthur, who was born on May 16th 1990. 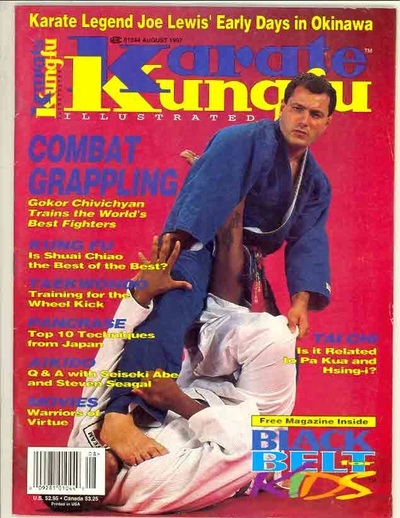 But fighting was in Gokor's blood, and the long awaited Hayastan Grappling Academy opened in Hollywood California in 1991. With his long history of winning championship titles and his unique fighting system, Gokor found his new school and instant success with hundreds of ambitious students. The Hayastan Grappling Academy has drawn students from around the world to train there, establishing a reputation in the fight community as THE place to train for No Holds Barred Fighting. Right from the beginning Gokor's students have gone forward to become champion s in Judo and NHB competitions, including extreme fighting, Pancrase and even in the Ultimate Fighting Championship. Gokor receives many invitations to fight in these competitions but prefers his role as teacher to the champions. With all this going on in his life, Gokor still found time to compete in and win the US Judo Nationals in 1994. The only thing that could possibly eclipse his student's successes happened on July 17th 1996 with the birth of Gokor's second son, Garry. 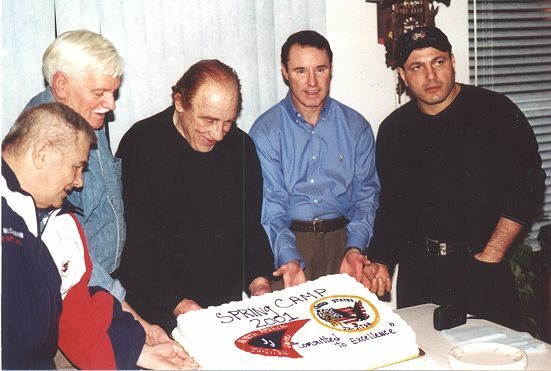 In January 1997 Gokor received a call to come out of retirement to fight another Professional No-Holds-Barred World Championship. His opponent was the 1996 N.H.B. World Champion from Japan. Mr. Maeda's record was over 200 wins and no defeats. 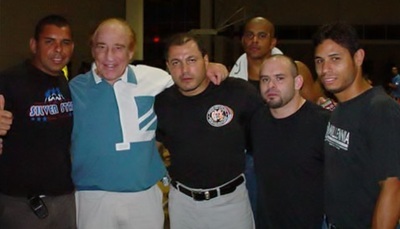 For Gokor, this wasn't viewed as a challenge, but more like another opportunity to display the devastating effectiveness of Gene LeBell and Gokor's style of mixed martial art fighting. The match took place in mid 1997 broadcast around the world via pay-per-view and before a tremendous crowd in Alabama. Gokor fought Mr. Maeda and beat him in 51 seconds to the cheers of his friends, family and students. Gokor shocked many of the spectators with his speed, strength and technique. This was also the year Gokor was inducted into the Black Belt Hall of Fame and awarded with the prestigious "1997 Judo Instructor of the Year". Gokor's school and his role as it's founder has been written about for cover feature articles in Kung Fu Magazine, Black Belt, Jiu-Jitsu, Grappling, Karate, Germany's Budo Magazine, the Los Angeles Times, and newspapers around the world. Living out another dream Gokor has appeared as an actor and stunt man in feature films like Blood Sport II, Streets of Rage, Personal Vendetta and also on televisions shows like JAG, It's On Your Good and many Armenian and American sports and news programs. But nothing can compare with training his sun and watching him win as the 5 time Judo Junior National Champion and winning the Junior Judo Olympics in 2000. With this kind of success, Arthur is moving onto grappling and no holds barred training. Gokor currently trains professional fighters and amateur students in judo, sambo and no-holds-barred fighting. 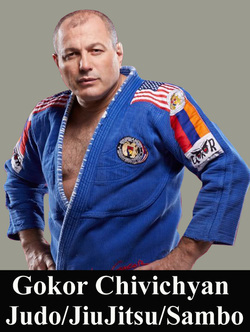 Many NHB world champions today, come and train at the Hayastan studio, to exchange knowledge with Gokor. He has affiliate schools across North America, in Europe and his homeland of Armenia. 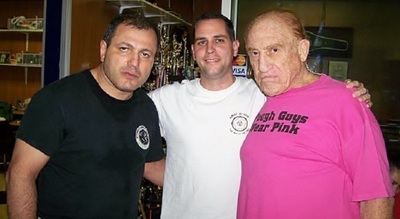 Gokor does seminars around the world and has been training the LAPD self-defense instructors since 1996. He has received city commendations for his services to the Los Angeles community and was recently given a commendation for teaching the LAPD. Gokor has also taught for FBI, numerous SWAT teams and Interpol in Europe. 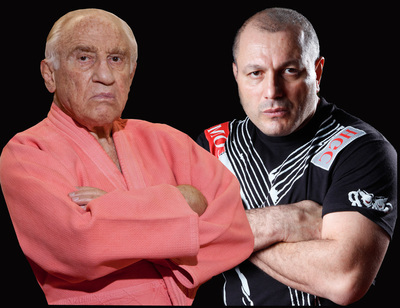 His his dream is that Gene LeBell & Gokor's Grappling World branch out across the world and that their students can go on to become as successful as Gokor has or even more so. Gokor has competed in over 400 NHB, judo, and sambo fights, and has never lost as a professional fighter. Though hugely successful in the fighting world, Gokor is humble, honest and friendly to everyone he encounters. His respect for all mankind is something that you will see the first second you meet him. It is this extraordinary attitude, which makes him a true champion and not only a champion in fighting, but also a champion in life. 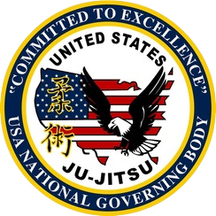 On February 26, 2005, the USJJF's Central Technical Committee (CTC) through its National Program of USA TRADITIONAL KODOKAN JUDO (USA-TKJ), officially announced the Recognition of the Many Achievements, Outstanding Leadership & Original Contributions in Ju-Jitsu and Traditional Judo by Gokor Chivichyan and his Dan Grade of Shichidan, 7th Degree Black Belt in US Ju-Jitsu & Traditional Kodokan Judo.